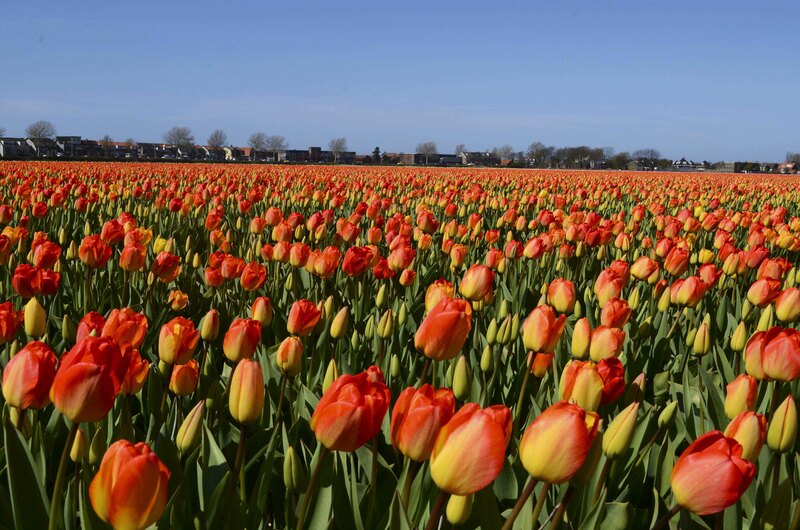 Type “tulips in Holland” into Google and what appears is photo after photo of bright and colourful bulbs sitting formidably in their rows in the Dutch countryside; a windmill in the background of a few. 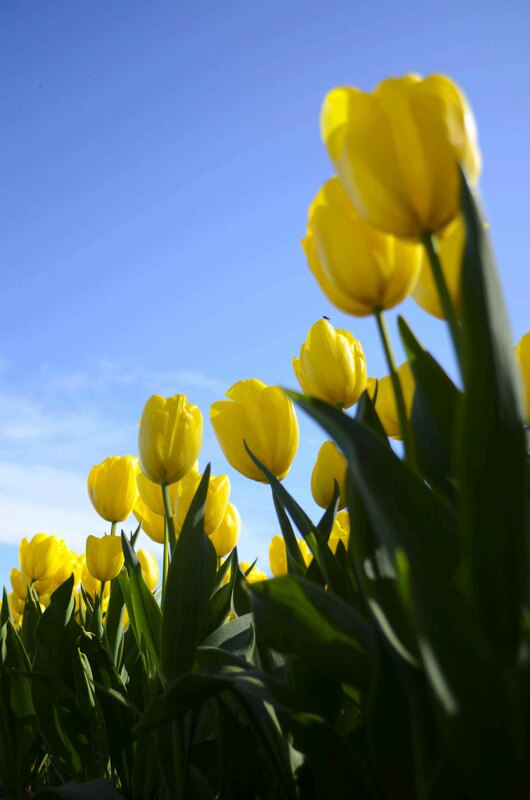 Seeing fields of tulips in images on the computer screen makes them seem made up, like you’re looking at a picture of a dinosaur – not able to fully imagine them to be real unless you were to see them with your very own eyes. 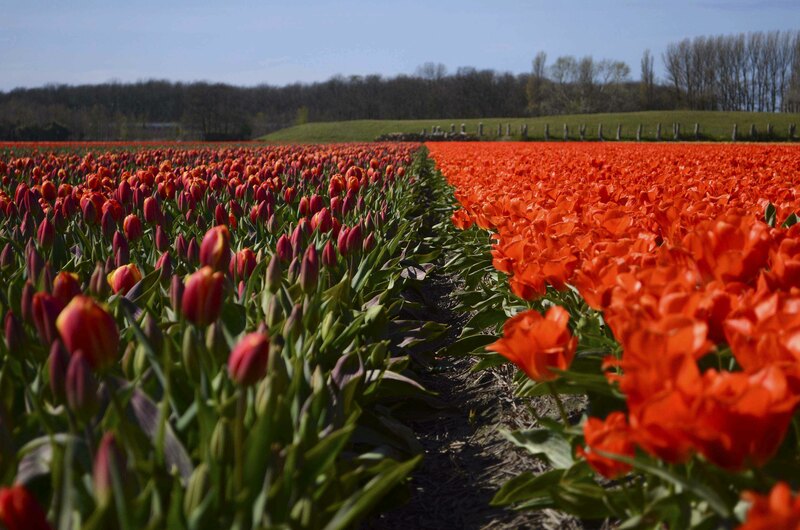 We can’t vouch for the dinosaurs, but let us assure you that these tulip fields are actually there and the photos on Google are real; of course they are, somebody had to have taken them. But it’s hard to actually know they are real until you’re physically there, cycling past them, taking in the bright colours, row after row, field after field. 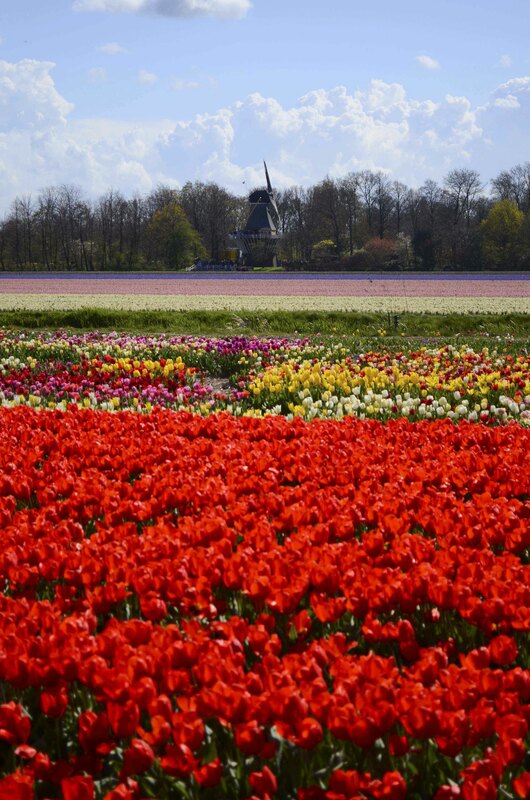 Upon glimpsing the first of the tulip fields, we were like Dorothy the moment she stepped out of her damaged house in Munchkinland, suddenly coming into a bright kaleidoscope of Technicolour. 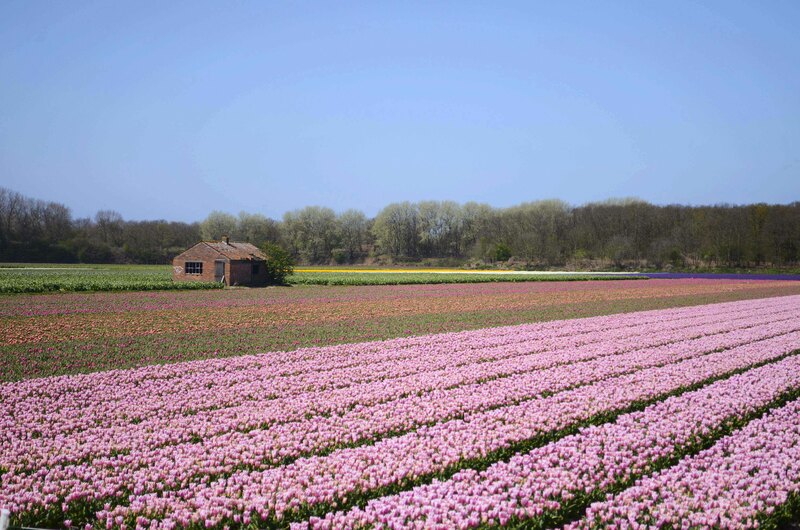 We were seeing the colourful fields of the Netherlands and they were beautiful. 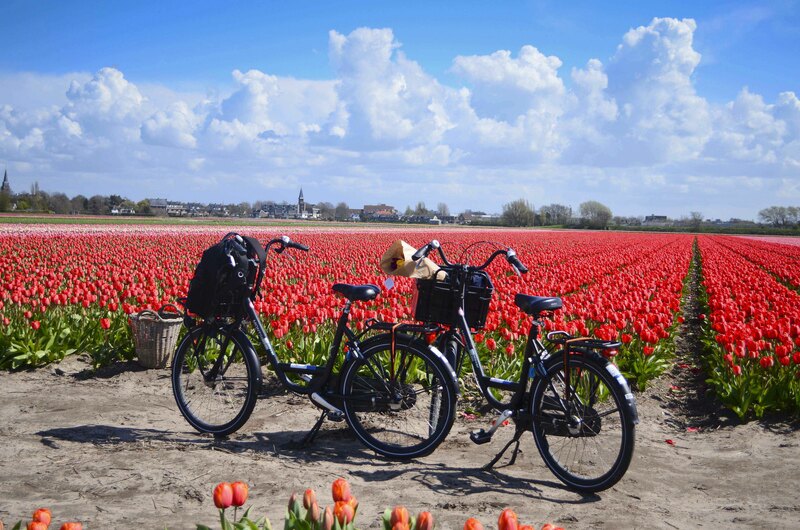 Amidst all the other ‘colourful’ things you can do in this very easy-going country, making a day of cycling around the infamous tulip fields was high on our list (pardon the pun). 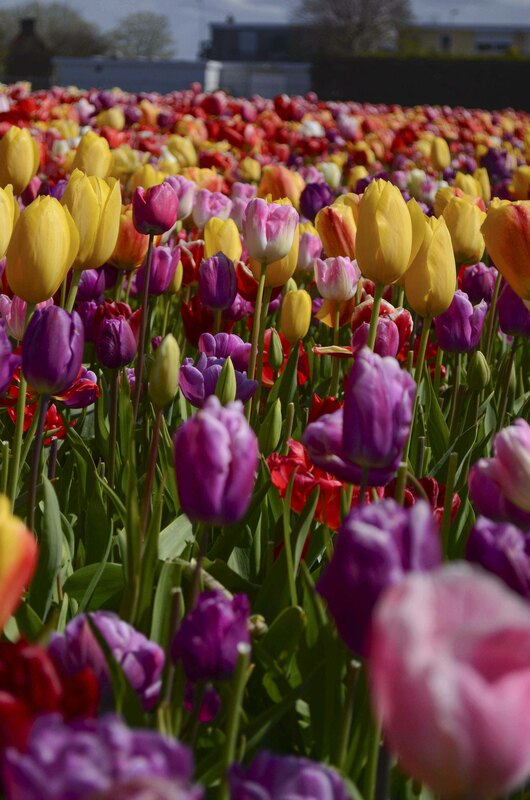 For our last Spring in Europe, we had to make a trip to Amsterdam to see the flowers for ourselves. And we didn’t regret it.